Madewell is my absolute favorite place to shop for my own clothing and some new finds I recently scooped up have not disappointed. I've been wearing all these pieces that I'm sharing below constantly since they arrived and they are simply perfection. The perfect amount of warm, cozy, comfortable, soft, stylish... you name it. 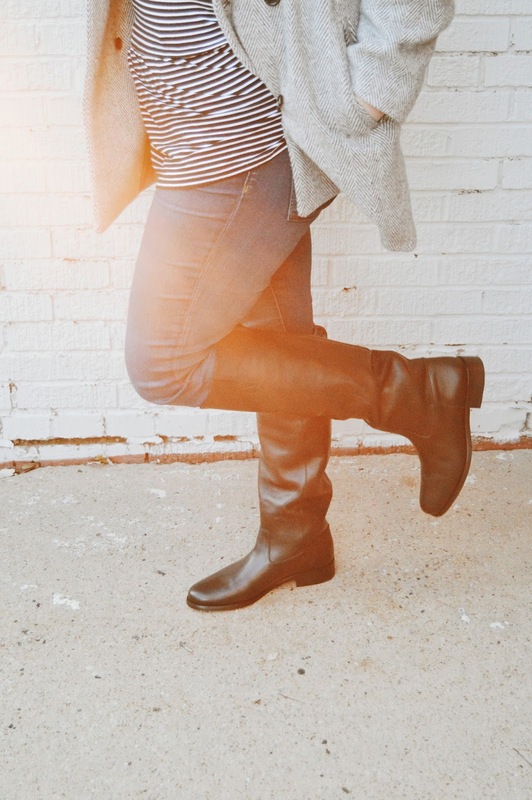 These clothes (and boots) are it. 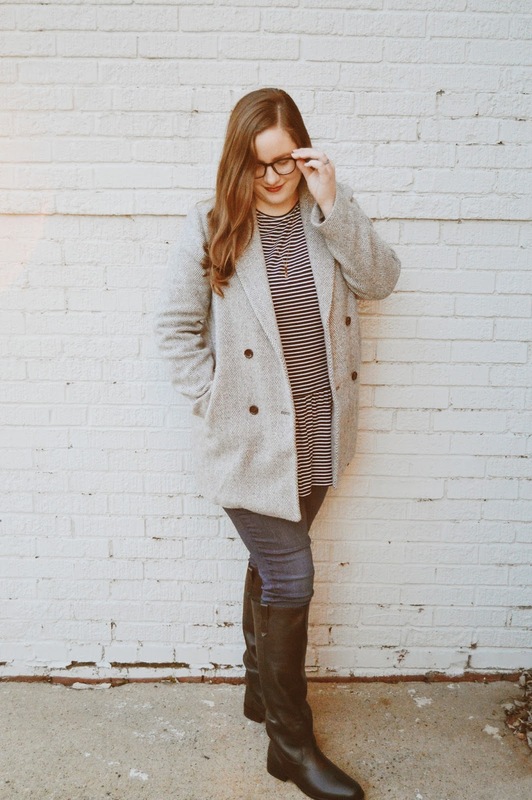 First up, if you don't already own this cardigan, you need to. I've been literally living in it since I opened the box. Every time I wear it I can't get over the softness and pretty much vow that I'll never take it off lol. Though it comes the several different colors, I just loved the light heather fog color of this one. 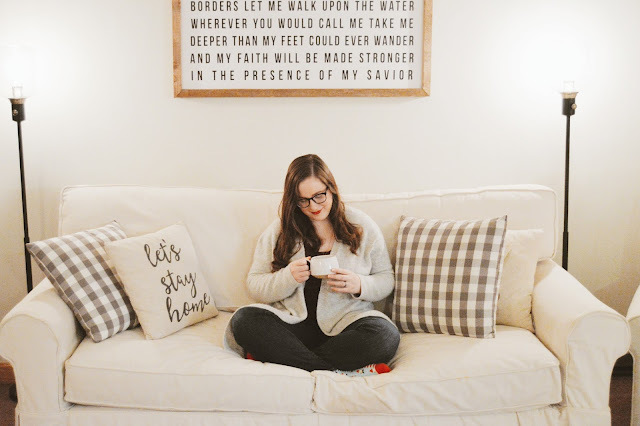 It's the perfect neutral and the color goes with EVERYTHING because it's the perfect cozy neutral and it's so great for layering, also perfect for staying in or going out! 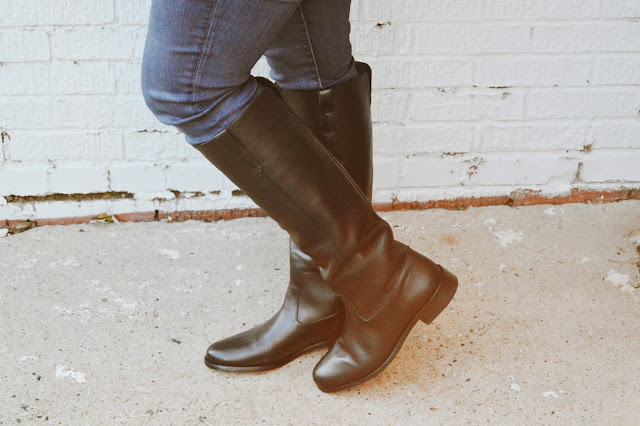 These boots are so, so pretty and I immediately fell in love with the classic equestrian inspired look of these knee high boots. 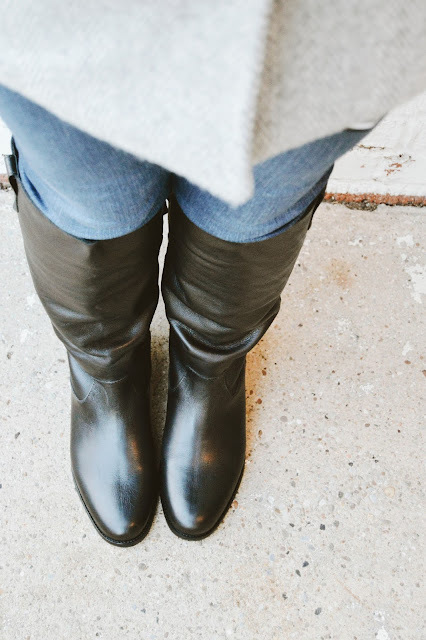 I just love how they go so well with jeans and leggings, and truly, you can never go wrong with a classic black boot. Though a bit of a splurge, if you only have one pair in your closet, these should be it. The footbed is oh so comfy as well, and I might feel super fancy when wearing these. Where do I even start with these jeans? The Roadtrippers. Yep, I loved the first pair I got earlier this year so much that I knew I needed another pair (because let's face it, one favorite pair of jeans is not enough). Just as comfortable and flattering as the first pair and I wear them so often, as the weather has turned colder here I've been wearing these on repeat, pairing with a tee or henley, a cardigan, simple gold bar necklace and moccasins or booties. The perfect autumn outfit. A coat is one item I've been needing for a couple years but just never got around to purchasing. 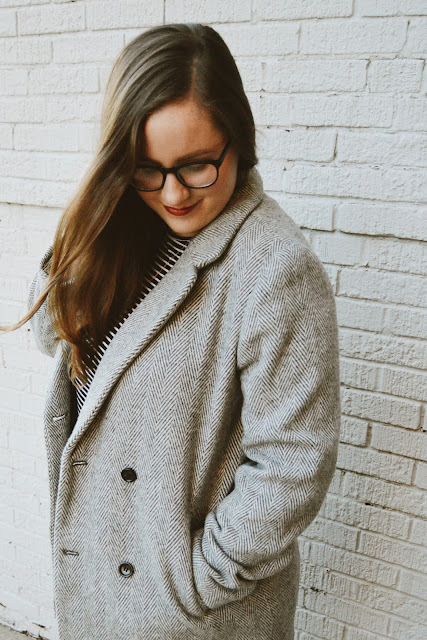 My last coat was a black pea coat I bought when I was 16, so needless to say it had seen it's better days and was mostly just sitting in the closet collecting dust while I wore a heavier cardigan everywhere last year, so this year I decided it was finally time to take the plunge and get a new coat. I spied this pretty and unique coat on Madewell's website, and was nervous to see if it looked as good on me as it did the model and... Oh. My. Goodness. 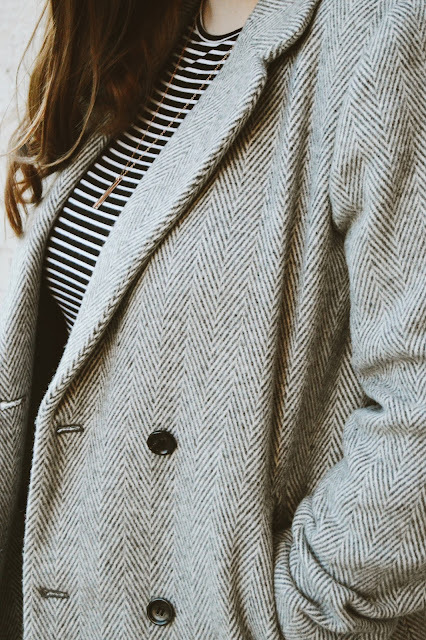 It seriously exceeded all my expectations and this blazer coat has absolutely blown me out of the water. It looks so pretty on, almost a vintage type vibe to it and oh so classy. I wore it the other day and couldn't stop smiling, it was so lovely, plus it feels comfy and is super warm! It pretty much takes every single outfit up a notch. Stripes are kinda my thing, so when I spotted this adorable cashmere sweater, it was love at first sight. I mean, just look at it. Black and white stripes on a cozy cashmere sweater. Sign me up. The cutest sweater for sipping hot cocoa in and decorating the tree. I also grabbed these jeans! High waisted is all I wear these days when it comes to comes to jeans, so much more comfortable than any other length rise in my opinion AND I don't have to worry about anything showing if I bend down to pick my daughter up, ALSO since becoming a mom, the real reason I love high waisted jeans is their tummy slimming powers! Yay! The 10 inch rise on these jeans is absolutely perfect and the relaxed skinny leg is absolute comfort. I love cuffing them to give them a little added character while wearing them with flats and a cardigan. Tons of super cute items over at Madewell so make sure check them all out over on their website!